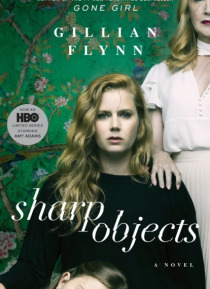 AN HBOLIMITED SERIES STARRING AMY ADAMSFROM THE #1NEW YORK TIMESBESTSELLING AUTHOR OFGONE GIRLFresh from a brief stay at a psych hospital, reporter Camille Preaker faces a troubling assignment: she must return to her tiny hometown to cover the murders of two preteen girls. For years, Camille has hardly spoken to her neurotic, hypochondriac mother or to the half-sister she barely knows: a beautiful… thirteen-year-old with an eerie grip on the town. Now, installed in her old bedroom in her family's Victorian mansion, Camille finds herself identifying with the young victimsa bit too strongly. Dogged by her own demons, she must unravel the psychological puzzle of her own past if she wants to get the storyand survive this homecoming.